People find it difficult to express ideas and solve problems purely with words. They find it much easier to use diagrams. Distilled into this single, handy-sized volume are 50 of the most useful diagrams, which are used by consultants, academics, MBA students and smart managers globally to aid their problem-solving and thinking. Triangle and pyramids, grids and axes, timelines, flows and concepts, circles – the 50 diagrams are each visually presented and then explained in an accessible manner, including tips and advice on how you can apply them to your own situations. A unique and practical guide to solving business problems by using diagrams and visual thinking techniques. 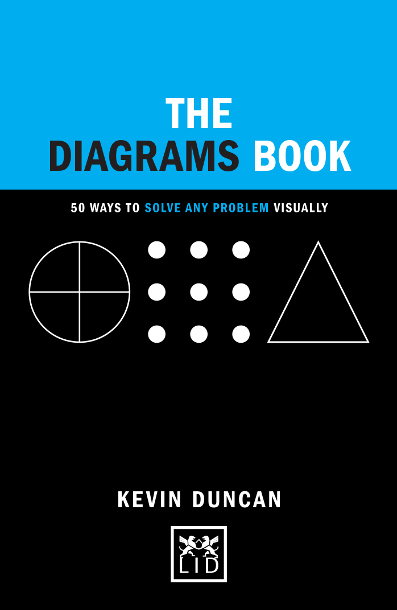 Contains 50 of the most useful and proven diagrams for problem-solving which are already used by the smartest businesspeople. Stylishly presented and easy to understand and apply.